Iran’s Foreign Minister Mohammad Javad Zarif says all members of the international community must stand up to US law-breaking behavior, bullying and disregard for the rule of law after Washington announced it was withdrawing from a landmark nuclear deal Iran signed with the 5+1 group in 2015. According to Press TV, in separate letters to his counterparts in various countries, Zarif warned of the dangerous consequences of the US “illegal and unilateral” move to pull out from the nuclear agreement, officially known as the Joint Comprehensive Plan of Action (JCPOA), and called for international condemnation of Washington’s extremism. “Illegal withdrawal of the US government from the JCPOA, especially bullying methods used by this government to bring other governments in line, has discredited the rule of law and international law at international level while challenging the goals and principles of the Charter of the United Nations and efficiency of international bodies,” the Iranian foreign minister said. He added that the US withdrawal from the JCPOA was the country’s biggest effort aimed at violating and weakening the nuclear accord and the UN Resolution 2231, adopted in July 2015 to endorse the historic deal. He emphasized that the agreement’s scope, regulations and time frame were the outcome of “accurate, sensitive and balanced multilateral” talks and it is impossible to make any change or hold new negotiations about them. 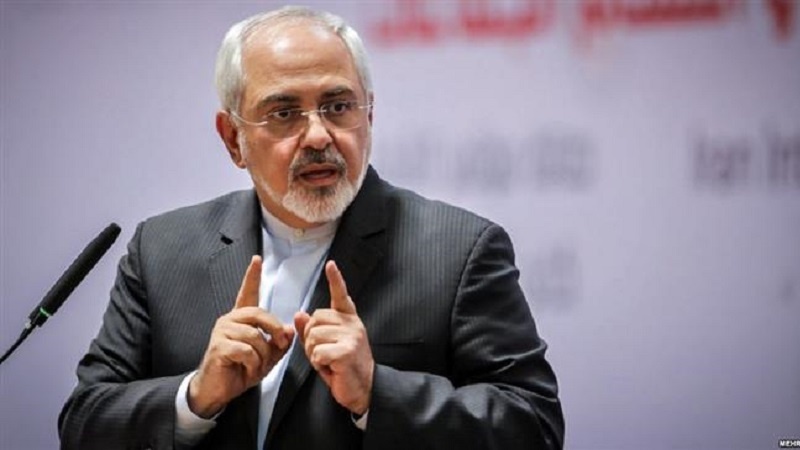 Zarif further said the conclusion of the JCPOA put an end to an “unnecessary crisis” which lasted for more than one decade. “The JCPOA does not belong only to its signatories in a way that one side will be able to arbitrarily and irresponsibly reject it based on its domestic policy or political differences with a former ruling administration,” the top Iranian diplomat added. He emphasized that despite the US acts of sabotage and incomplete implementation of the JCPOA, the Islamic Republic has remained fully committed to its obligations under the deal. If the nuclear accord is to continue to stand, the remaining parties and other trade partners must give assurances to Iran that they would make up for the US withdrawal without any conditions and through national, regional and international measures, he pointed out.